Jane has over 25 years' experience in helping clients plan and administer estates, buy and sell real property, protect assets from long-term care expenses and plan to transfer theirs farms and businesses from one generation to the next. This experience gives her a unique perspective about her clients' needs. Jane began her practice with her father, Patrick Dell, in 1990. He was her mentor and her role model, as he had spent his legal career building a reputation for integrity and honesty. The insight and knowledge Jane gained from the few short years she practiced with her father continue to impact her practice today. A graduate of the Indiana University College of Law, Jane served as a judicial intern to the Honorable Sarah Evans Barker of the United States District Court for the Southern District of Indiana. 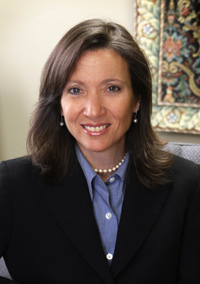 Jane's practice includes long-term care planning and nursing home asset protection, elder law, estate planning and estate administration, trusts and real estate. Over the last few years, Jane's practice has evolved to include extensive work in helping clients protect assets when facing long-term care expenses in the nursing home or in an assisted living facility. As asset protection and preservation issues become central to more clients, Jane's practice has adapted to that growing need. She also practices in traditional estate planning and administration, including revocable trusts, wills and powers of attorney. As a licensed title agent for Professional Title Services,Ltd. Jane conducts real estate closings and issues title insurance. She also advises clients on all legal issues in buying and selling real property. Seneca County and Ohio State Bar Associations.